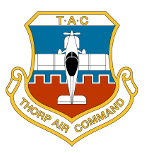 Thorp Air Command - T18.net • View topic - Should I buy another Odyssey or go back with a Gill? Post subject: Should I buy another Odyssey or go back with a Gill? Its time for a new battery. I have no complaints about the Odyssey battery I have been using. I have read where people were having problems with the newly purchased Odyssey batteries, and it made me consider going to the sealed Gill battery. Anyone recently bought a particular brand of battery they have been happy with? In reading the data on the Gill and Odyssey, I don't see a huge difference in the two. Maybe 50 CCA on one battery, but a little higher MCA on the other. Post subject: Re: Should I buy another Odyssey or go back with a Gill? I replace a 10 year old Odyssey earlier this year with another Odyssey and have had no problems. I'm not sure that I really needed to replace the battery as it was still holding a charge and cranking the engine just fine. Had to replace a PC-680 that was 4-5 years old . Would not hold a charge . New one cranking like "Stink on a June Bug !" ok, thanks. I might as well go back with another Odyssey then. My local "Batteries Plus" store used to carry Odyssey batteries, but I just went in today and they don't carry them anymore. I hate paying those shipping charges.